My second attempt to make a caricature of a person went pretty horribly wrong. This was originally supposed to be one of those… however, once I laid down the pencil groundwork and started to color it in, I loved the way it was looking as a more realistic color portrait. It makes me want to pursue making more color portraits. 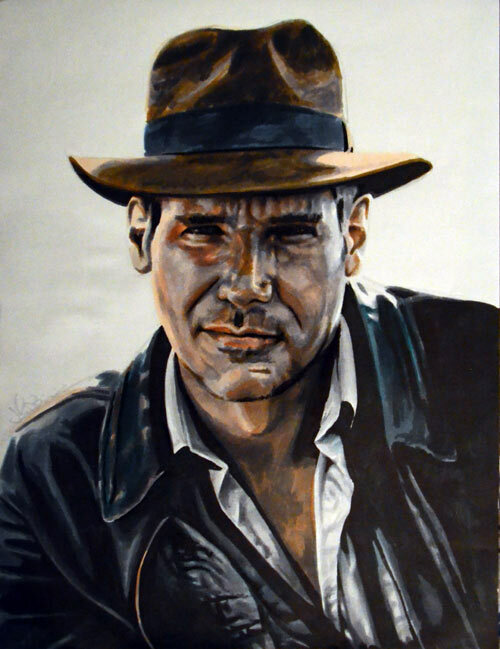 This was made using Prismacolor markers and the source was a photo of Indiana Jones that I took off my wall. The original photo had Sean Connery as well, so I actually had to create part of Indy’s jacket and body to finish the picture. It was fun!